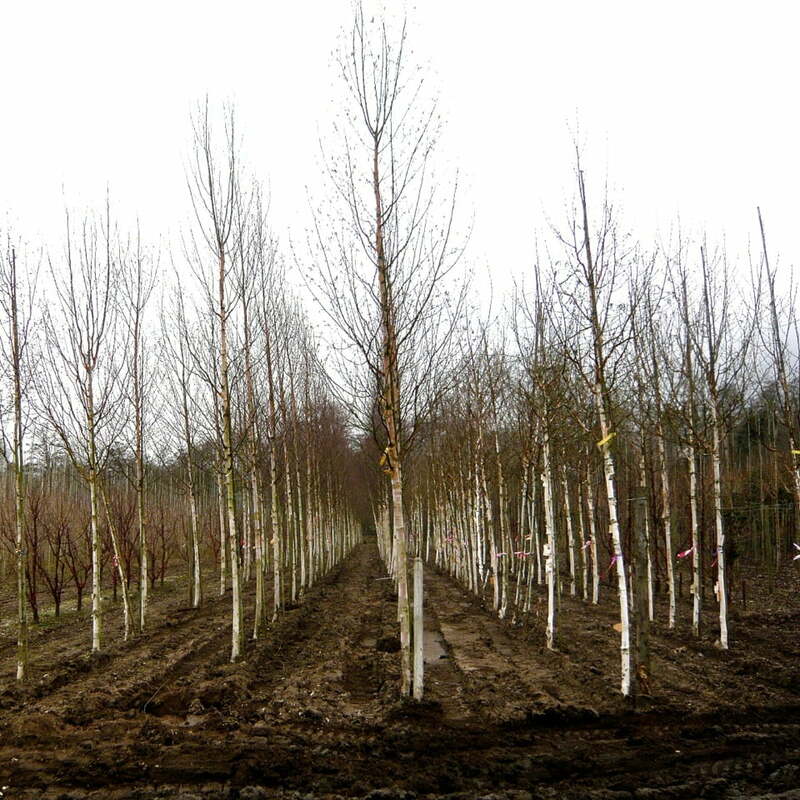 I love to plant trees – they instantly add drama & height to an environment & are in fact incredibly good value. 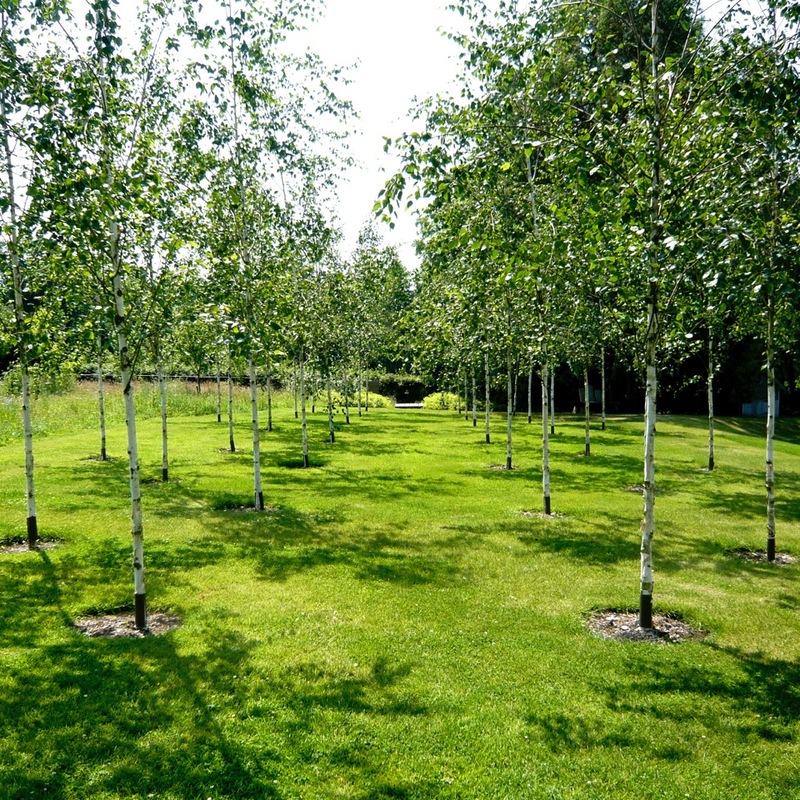 A simple cherry tree for example can cost less than a medium size shrub! 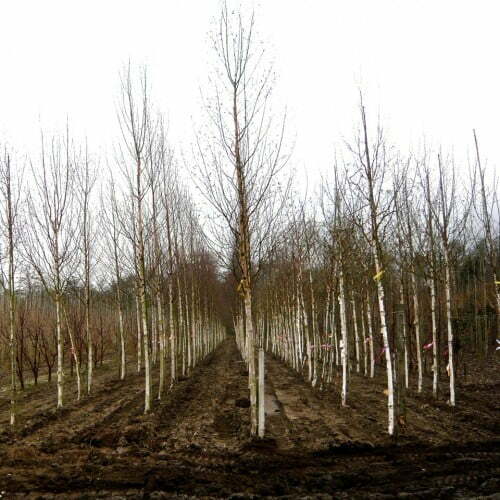 This time of year, we plant bare root & rootballed specimens which are only available whilst the trees are dormant & the ground is not too hard. 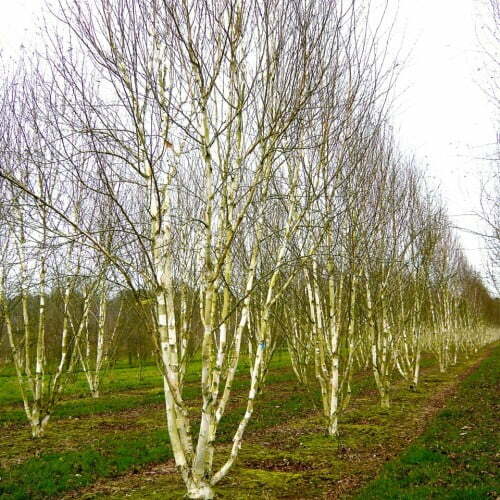 It’s a great process; my design will propose certain trees of a certain size – silver birch for example so we, the client, me & my contractor – usually Rob of The Garden Design Co Ltd will all go together to the nursery. 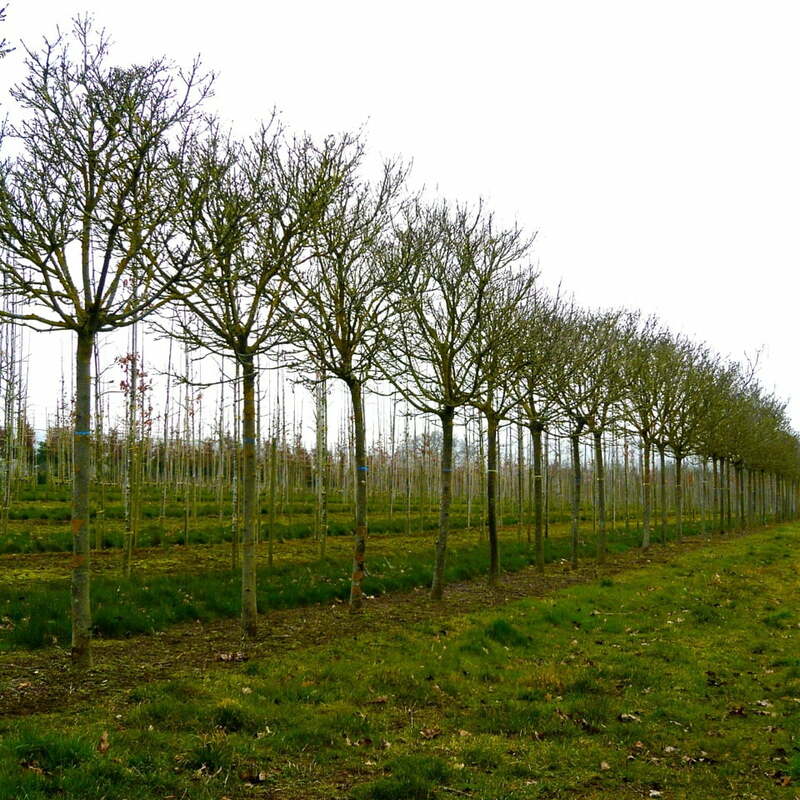 Clients love to come & choose their trees & why not – it makes the whole process more interesting & inclusive. We travel in a jeep & drive through huge fields planted with rows & rows of fabulous trees. We stop at the right field & choose which we want then tag them. Once the time is right, they are lifted & delivered to site on a lorry. Bare rooted specimens are easy to carry & plant by hand as no soil will be included but rootballed specimens as above may well need a forklift or even a crane. 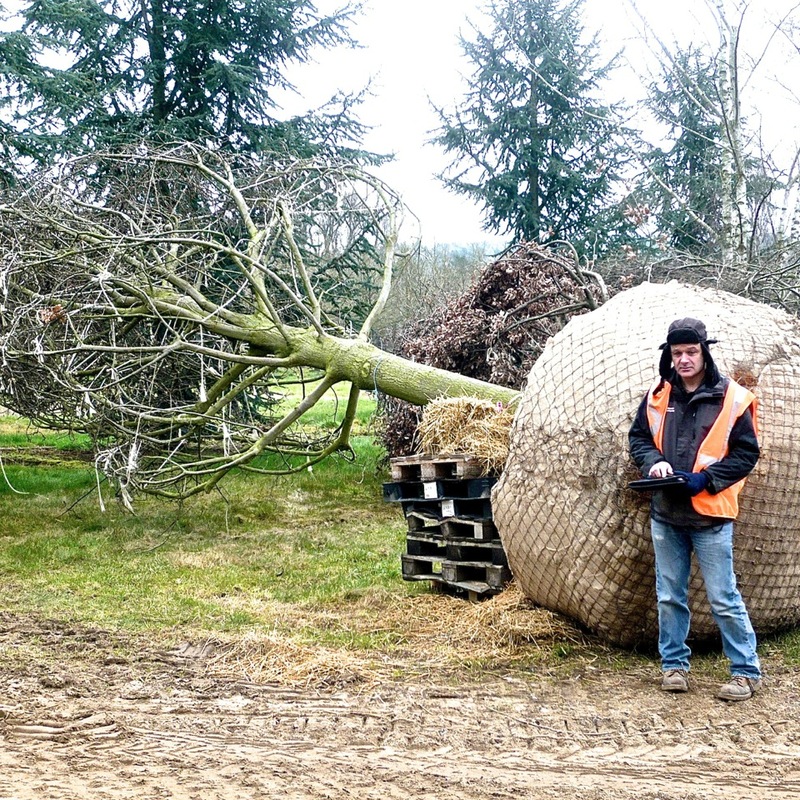 The image above is of Rob beside a huge rootballed specimen on it’s way to the Olympic site – amazing! When they arrive, they must be planted quickly. They mustn’t dry out or be left in freezing temperatures. 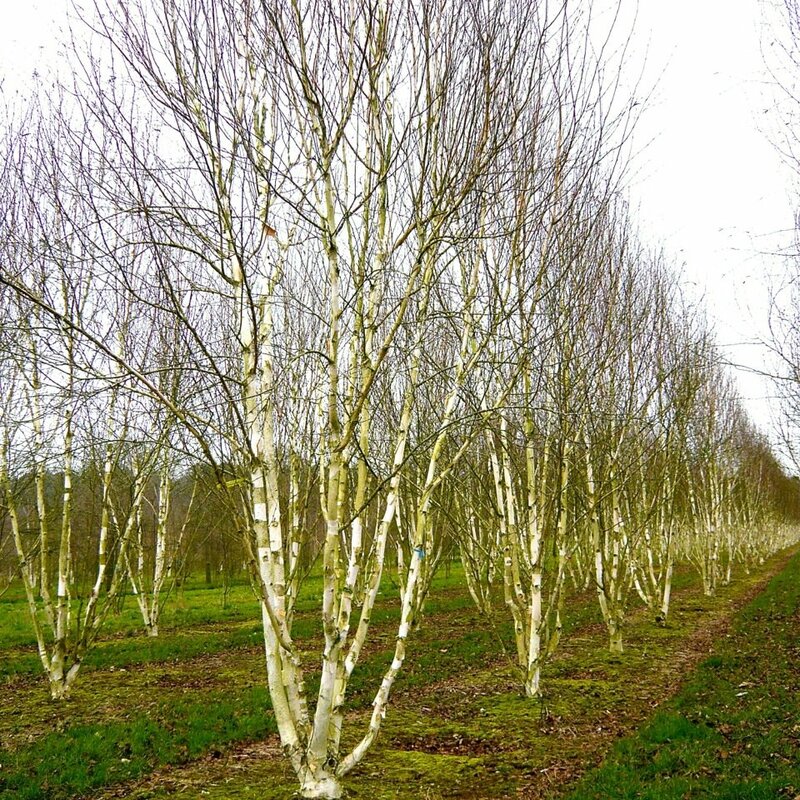 They are planted with great care, with enriched compost & mycorrhizal fungi to encourage healthy roots. 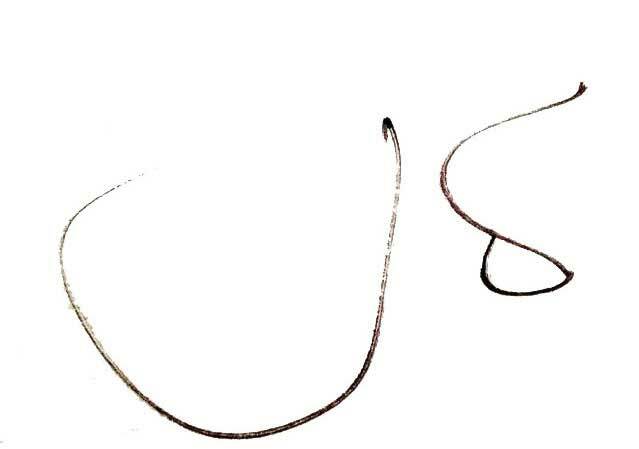 Then staked above or like these – below ground with a guy system. Then – enjoy the view when they wake up in the spring. Tomorrow I’ll talk about pot grown trees that can be planted at any time!